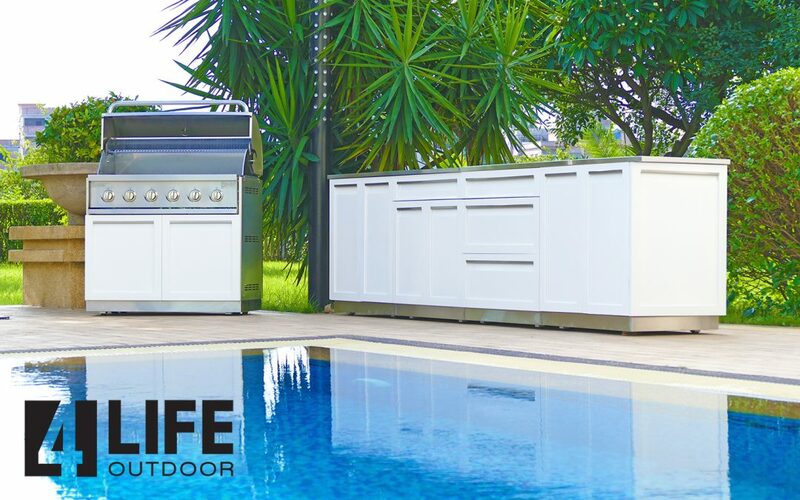 Winterizing your outdoor kitchen - 4 Life Outdoor Inc.
As the holiday season comes around, there is still much to enjoy on our patios and outdoor rooms! Especially if you have an outdoor fireplace or fire pit to cozy up around. But if you know you are not likely to spend much time outside until spring, you will want to make sure everything is properly prepared for the winter season. 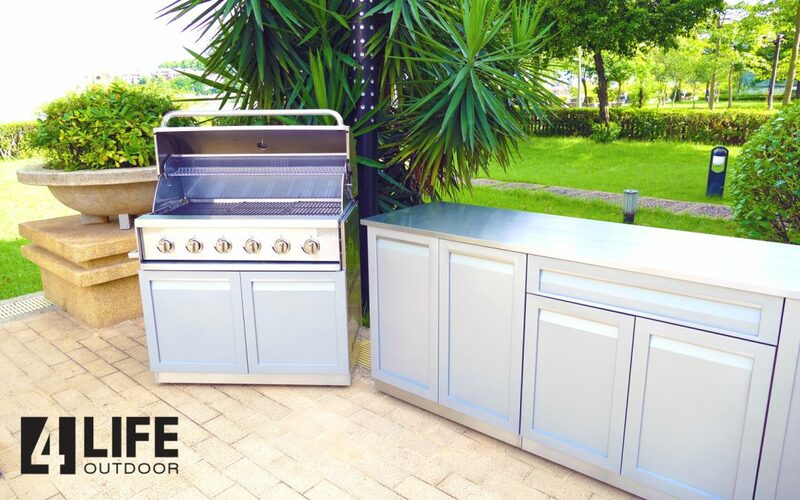 If you have a gas grill, be sure to turn off the propane or natural gas line. The cold can burst your outdoor pipes and cause a lot of damage. 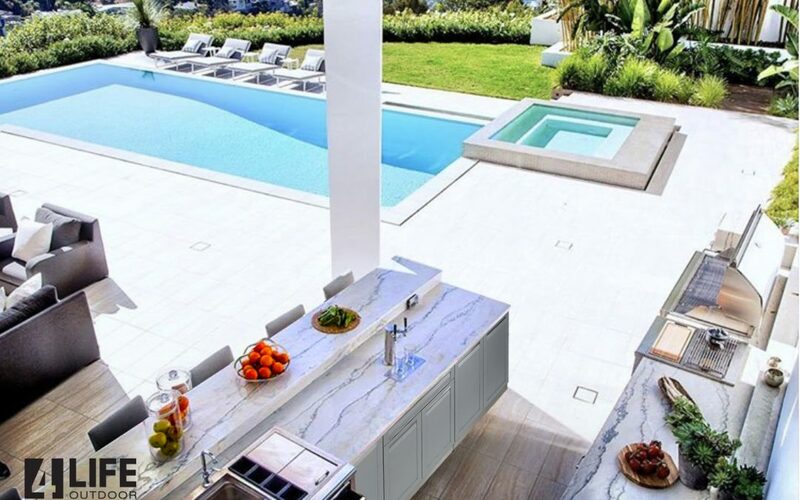 Prevention is pretty simple for an outdoor kitchen—all you have to do is locate the shut-off valve, turn the water off, and then turn your faucet on until the water drains out. Do the same with your garden hoses. You paid allot for your grill, protecting it with a grill cover. This will protect it from frost, ice, and debris such as acorns and dead leaves that can accumulate in small cracks. 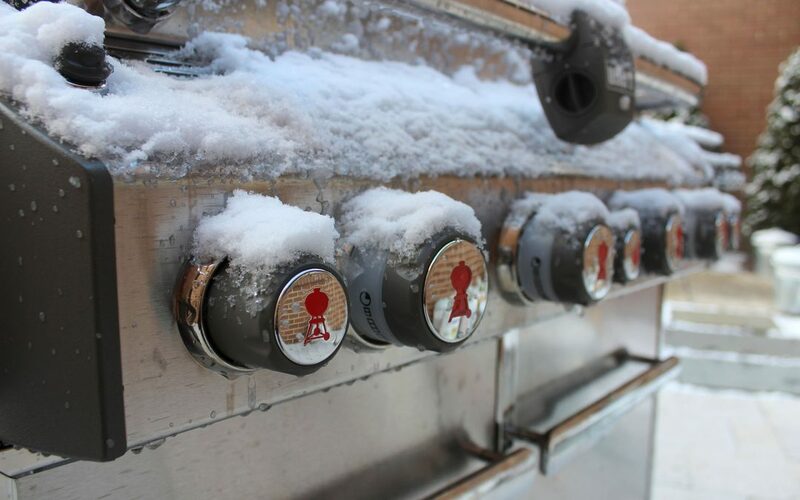 We know you are not going to wait all winter season long to BBQ. Clean your grill to have it ready for the next time you go out. If you are not going to use your patio and outdoor dining set and have room to store it indoors, do it. It will make your stuff last much longer. If not, make sure to organize everything so that items don’t fly away with the strong winter winds. Be sure to take down shade umbrellas, pack up the kids’ summertime toys, and take down any hanging décor that may not withstand wintery gusts well. If you’ve got lightweight furniture, stack it up or put it into storage. If you spot rust on metal surfaces, you will want to take care of it now to prevent further corrosion over the winter. Use a wire brush, steel wool, or sandpaper to scrub rusty spots away. Once the rust is removed, you may also opt to use a commercial rust converter to hide the effects. As a general rule, you don’t want to leave old ashes in your fire pit. But as you’re preparing the rest of your kitchen for the winter, it’s a great opportunity to make sure everything’s tidy. 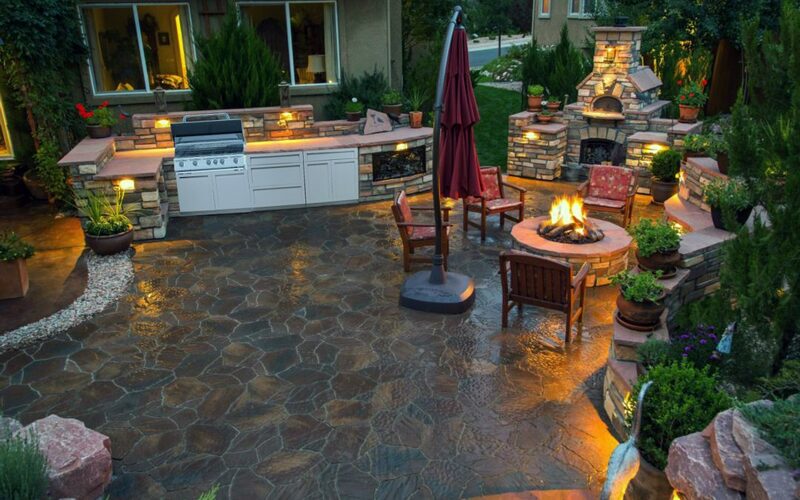 Check out our full post on fire pit maintenance for additional details.